Developmental Aspects of Oral Biology assembles within one volume selected contributions from highly competent investigators currently engaged in research on developmental problems in oral tissues. The primary objective of this book is to facilitate rapid and lucid communication among researcher, teacher, student, and the practitioner interested in oral tissues and oral diseases. This is best accomplished by providing critical surveys of discussions of the state of knowledge or concepts in relevant areas of biology that relate to development, development in terms of embryogenesis, prenatal growth and development, maturation, senescence, and developmental aberrations which manifest themselves as oral pathology. The book begins with a study on the nutritional aspects of embryogenesis. Separate chapters then cover the molecular biology of developing systems; immunological determinants in development; and the migration, interaction, and early differentiation of orofacial tissues. 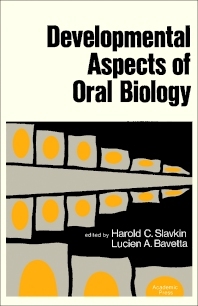 Subsequent chapters deal with topics such as the development of the primary and secondary palate and the taste buds; tissue interaction during in vitro odontogenesis; matrix development in mineralizing tissues; and macromolecular interactions in the connective tissues of the periodontium. II. Why the Tooth Primordium? III. Is There a Specific Molecule Actually Synthesized within Either Heterotypic Tissue and Subsequently Transferred to the Reciprocal Tissue Type?